Sustainable development as defined by the International Fertilizer Association (IFA) is the practice of managing natural resources and human activities so that present and future generations of humanity have the resources to meet their needs. Sustainable development must therefore conserve land, water, animals and plants, as well as avoiding harm to the environment while remaining technologically and economically viable. There needs to be a human focus too, because sustainable development must improve the quality of life for communities. Sustainable crop production is essential to improve the quality of life for future generations and can be linked to food security and nutritional security. Food security means there is enough energy in the diet, whilst nutritional security refers to a balanced diet where protein, carbohydrates, vitamins, etc. are provided in sufficient quantities and are in balance. In Africa, food security is a challenge in a number of countries and even more so nutritional security; specifically the quantity of protein, zinc and Vitamin A present in diets. Protein is extremely important for brain and muscle development while zinc is very important for the immune system and also reduces infant mortality rates. Fertilizer use is an essential component in improving and maintaining soil fertility, so that developing communities can increase the amount of locally produced food. Proper crop nutrition also optimizes the nutrient content of the food that is produced. Commercial fertilizers contribute almost half of the nitrogen taken up by the world's crops. 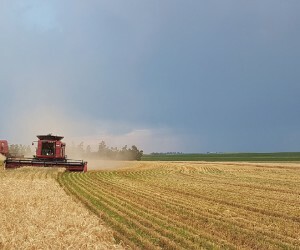 In turn, these crops provide about three quarters of the nitrogen used to build the protein that is consumed by humans, either directly, or indirectly through the consumption of meat. In other words, about one third of the protein consumed by mankind is the direct result of fertilizer use. As fertilizers are a key component of food production, the fertilizer industry is dedicated to ensuring that the plant nutrients it provides are produced and used in ways that contribute to sustainable crop production and the global food supply. This responsibility extends throughout the life-cycle of fertilizer products: from mining the raw materials and production to distribution and application. Fertilizer use is an important step in meeting the objectives of sustainable development. Fertilizers replenish the soil by replacing nutrients taken up during crop growth. This in turns helps to prevent soil degradation, keeping agricultural land productive and economically viable. By enriching soil in developing communities, fertilizer application helps to ensure food security at a local level, contributing to poverty alleviation and furthering economic and social development. Sustainable development is not possible without a commitment to preserving the earth's ecosystems. The fertilizer industry has been working for many years to reduce its impact on the environment – through research, education, encouraging best practices and eliminating waste during mining and production. From the factory to the farm, the industry is environmentally aware and implements best practices at every stage of the production and use cycle. Manufacturers continue to upgrade factories and install technology that reduces emissions. Distributors and retailers are streamlining the transport and delivery of fertilizers in order to eliminate spills and misuse. Fertilizer companies also educate farmers in the responsible and efficient application of fertilizers. Over the years, the fertilizer industry has launched many successful initiatives in support of sustainable development, encouraging long-term thinking on the various environmental, social and economic challenges. IFA and other organizations have worked hard to boost local soil fertility, encourage cleaner production, improve fertilizer education and optimize distribution around the world. The results: more fertile fields, higher crop yields and agricultural communities that are increasingly self-sufficient. Eliminating poverty is a cornerstone of sustainable development. Although the global food supply has increased dramatically over the last 20 years, poverty and malnutrition are still widespread. More than 800 million people suffer from malnutrition or hunger. It is generally agreed that consistent agricultural production is a necessary element in fostering economic self-sufficiency. Fertilizer use is a key component in ensuring sustainable agriculture, especially in countries where soils are poor in nutrients. However, fertilizers are just part of the picture. Rural roads, functioning markets, appropriate credit facilities and other enabling structures must be in place for fertilizer use to have a maximum positive impact within the overall framework of crop management. Highly productive farming systems require that crop inputs—fertilizers for example —are used efficiently. Nitrogen is especially targeted for increased efficiency because of the risk of losses to the air and soil water. One of the most effective techniques to prevent volatilization is the use of nitrogen stabilizers (also known as urease inhibitors). These technologies slow the conversion of urea to ammonium that occurs after the fertilizer is applied to the soil. The leading commercially available urease inhibitor is abbreviated NBPT and contained within the product AGROTAIN®. AGROTAIN® dramatically reduces ammonia losses (keeping nitrogen in the soil) following urea applications. In South Africa, Kynoch Fertilizer sells AGROTAIN® treated urea under the trade name KynoPlus®. An example of the benefit of this approach can be found where Kynoplus® was used in KwaZulu-Natal, South Africa, where the average yield difference between the maize topdressed with Kynoplus® was 500 kg/ha more grain, compared to the halves where normal urea was used. In communities where nutrients have been mined from the soil, fertilizer use will restore nutrient balance and return soil to full productivity. Well fertilized soil also helps to conserve water and improve assimilation of carbon dioxide by crops. All these benefits feed communities by enabling more efficient farming and larger crop yields. The prevention of soil erosion is one of the key challenges to sustainable agriculture. Fertilized crops grow faster and stronger, covering the soil and protecting it from the eroding effects of wind and rain. By increasing overall crop yields, the application of fertilizer encourages farmers to stop cultivating fragile or unsuitable soils. Fertilizers are one of the agricultural technologies that have prevented farmland from infringing on tropical forests and other ecosystems. Because fertilizers increase soil fertility, farmers can increase their yields without expanding the agricultural area. Farmers may achieve very different yield levels under similar agro-ecological conditions. The ‘’yield gap’’ represents the difference between farmers’ actual and attainable yields and is often caused by poor access to agricultural inputs and to knowledge. Yield gaps can be substantial, for example, Sub-Saharan Africa is only yielding one fifth (20%) of the attainable yield (IFA, 2014). 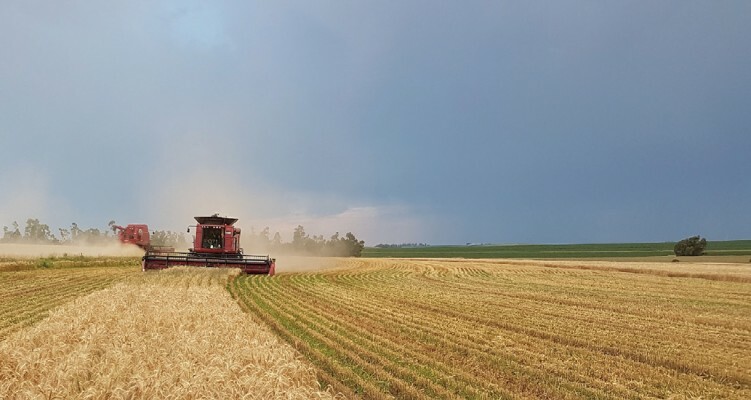 Yield gaps can be narrowed through the adoption of existing best management practices and new technologies which will be discussed in the next edition. Sustainable crop production links to food and nutritional security and is essential to improve the quality of life for the future while preserving the earth's ecosystems. Fertilizer use, especially at high rates of efficiency, is a key component in ensuring an increase in agricultural productivity. The ‘’yield gap’’ is often caused by poor access to agricultural inputs and to knowledge. This gap can be narrowed through adoption of existing best practice fertilizer management.